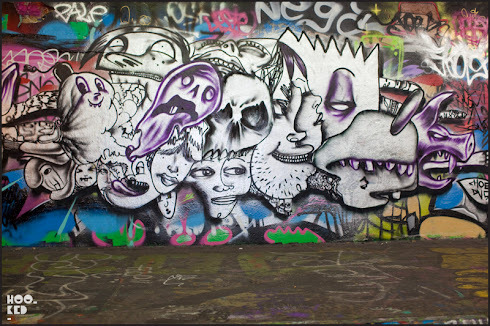 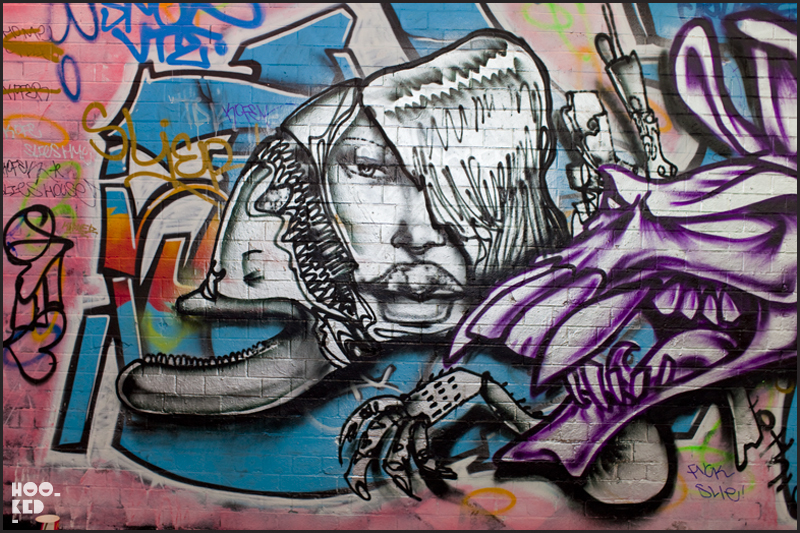 News reaches us that David Choe and DVS are London for the upcoming Lazarides Hell’s Half Acre show opening next week and it was inevitable that they would hit up some spots in town. 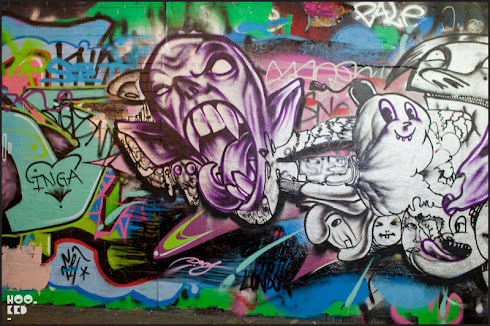 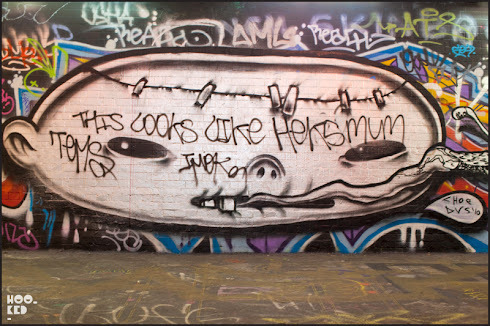 What with the Hell’s Half Acre show taking place at the Old Vic Tunnels in Waterloo, the two artists took to the walls of Leake Street and busted out a few pieces. 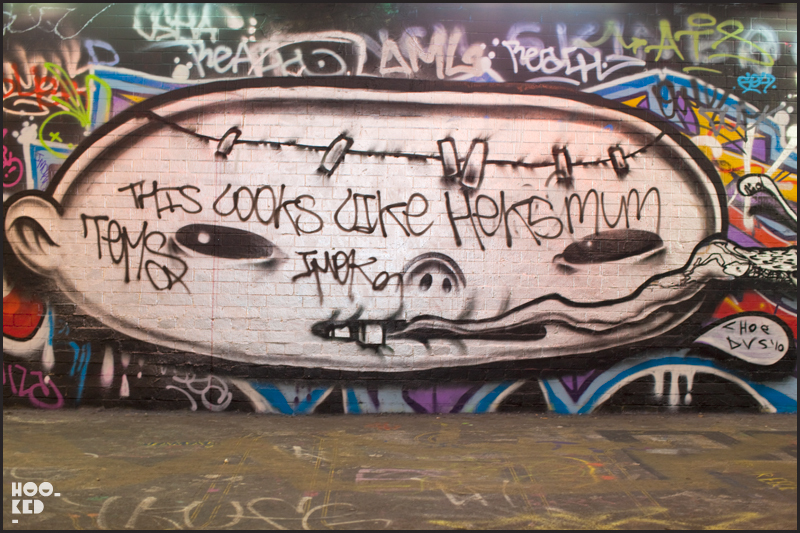 With such a high turn around in Leake Street, we were happy to get some photographs of work before they were painted over. We also spotted Solo One who had just started painted a wall when we arrived, we didn't get to see the finished wall in person but he has uploaded some photos of the finished wall over on his blog.